Looking for pvcu window contractors in Derby? Our double glazing fitters in Derby have the ability to provide you with the best quotes to have A rating new double glazing fixed in your house. Fitting double glazed house windows in your home will take less than one day, creating minimal stress and disturbance. Expert double glazing providers in Derby will measure your house windows and match the glazing, quickly saving you money on energy monthly bills. Double glazing is created to save by retaining heat in your house. Remember that you'll make awesome energy monthly bill and carbon emission savings with A ranked double glazing in Derby. We're going to present you with no obligation quotations from companies in Derby who will be in a position to supply you free surveys to work out the price of new double glazing and help you begin making savings today. You may then compare and contrast these quotes and determine the best replacement windows prices. With a populace of virtually 250,000, this East Midlands city is placed on the River Derwent. Derby has got Roman, Saxon and Viking origins, delivering a cultural diversity over the city. With many home enhancement services available, make sure that to always keep your property up-to-date making the most from your Derbyshire property. Fitters of new double glazing (A rated windows, secondary new double glazing, new windows) in Derby. They'll provide you with quotes in Derby for the installation of double glazed units. Quotatis are fully committed to finding you the best costs in Derby by comparing more than one hundred businesses. Quick to call and good phone manner. Salesman from the 70’s though and very poor price. Took over 2 hours also, too busy slagging off the competition. Find other providers would not have found. Informative and helpful with regular emails. We noted 4,172 requests for property double glazing quotations in Derby. Of these quotation requests the number of double glazing quotes in Derby was 40. Quotatis would have been able to match these customers with up to four suitable installers who were available for work in Derby at that time. Request a free home survey from reputable companies in Derby. The pie chart underneath shows the UK's population according to regions. Britain's whole population is more than 62 million, with the largest fraction of residents in the South East, Greater London and North West regions. The table underneath the pie chart illustrates the UK's population in regions as a figure. As you can see, both the South East and Greater London possess more than eight million occupants, whilst Northern Ireland and the North East contain the fewest inhabitants. The chart below displays the overall number of solar PV installations in Derby. Solar power systems have increased in popularity principally as a result of the Government's rewarding feed-in tariff incentive, which pays out for every unit of environmentally friendly electrical power generated. Join these property owners and begin producing your own electricity today. The data underneath shows the average house price in Derby. For the most part, home prices have increased in value substantially during the last decade. Nonetheless, in recent times prices appear to have stagnated and it's necessary to improve your home to add value. The table below illustrates how many houses have sold in Derby over the last seven years. The property market is now in a slump, with numerous property owners preferring to stay put and enhance their property and not move. Improving your own home can see you add thousands of pounds to the value and improves your odds of selling too. 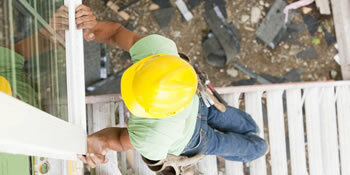 Have a home improvement project and need a recommended professional? Quotatis will help you find the best company in Derby and nationally, so you get the best possible value for money. Simply search for your project and request up to 4 quotes.